Entry Requirements You will be 16 – 19 years of age. Description: The course includes Literacy, Oral Communication, Numeracy, Personal Development, Work Related Skills and Units from Certificate II courses. You will be provided with breakfast and lunch daily. You will complete a work placement, go on camp and go on many excursions. 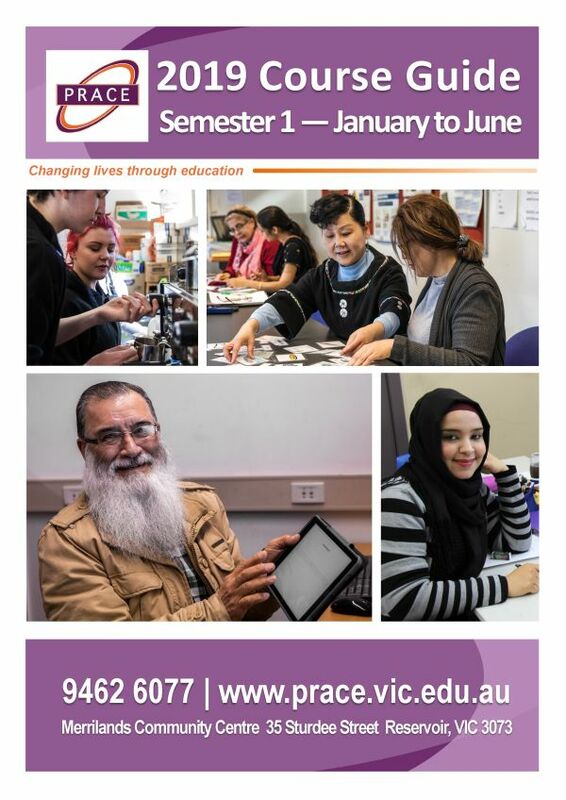 Pathway: After completing VCAL you can go on to further education and training. apprenticeship, traineeship or full time work. All students completing VCAL at PRACE will be given preference into any of our other courses.. Description: This course is designed as a taster to VCAL. All tasks and activities will go towards VCAL if you wish to go on. You will get lunch each day you are here. Pathway: After completing PreCAL, you can go on to further education and training. All students completing PreCAL at PRACE will be given preference into our VCAL program. The people in the Youth Program at PRACE are all people who are no longer at secondary school. With unemployment rates over 10% in Darebin, it is vital that the community provide them with some hope of a future. Over the years, the youth program at PRACE has developed into an amazing success, thanks to the remarkable skills of supportive co-ordinators and engaging teachers. VCAL – PRACE delivers the Victorian Certificate of Applied Learning (VCAL). This program is for young people aged 16 to 22 and is an integrated program combining Foundation and Intermediate levels. It runs for a full year for 22.5 hours per week although new students are welcome to join the program anytime during first, second and third terms should a place become available. PRACE is registered as an independent school. Students may wish to enrol in the College where practicable. Please see our PRACE College page for more information. Great things about the PRACE Youth Program – Did You Know? Imagine this; imagine coming to a school where everybody treats you the way you deserve to be treated. Attending PRACE has honestly changed my whole outlook on life. Being here has changed my future. My time at PRACE has been a shifting point in my life. It has given me a great opportunity to finish my year 11 and 12 and has given me a chance to follow my dreams and become the successful person I’ve always wanted to be.